“We’ve got the dark nights again” as my Grandma used to say. Despite 30c temperatures late last week probably most of us have had a taste of autumn over the weekend; coats are being donned for school once more. A nip in the air is as good as excuse as any for some rib sticking comfort food. 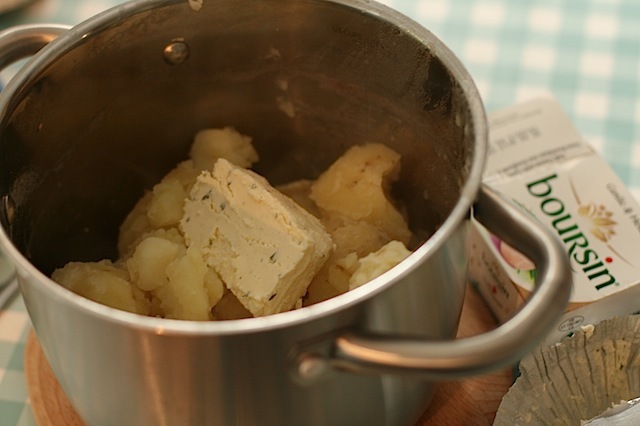 Armed with fluffy spuds and garlicky Boursin I whipped up the first mashed potatoes I could remember having in ages. 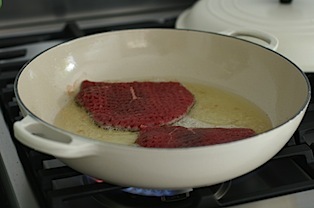 It’s hard to recall now but for a good six weeks this summer I couldn’t bear to light the gas hob never mind the oven. So mashed potatoes were definitely off the menu and although I’m not glad to see the warm weather go, I do rather like the return of comfort food. Easy peasy garlic mashed potatoes: mash potatoes with half a pack of Boursin garlic and herbs cheese and a glug of smooth olive oil. My variety today was an extra virgin variety from Crete. 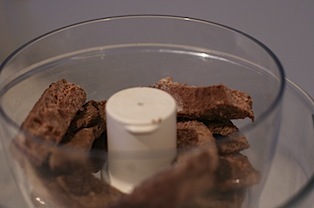 A sneaky pinch of salt flakes and a grinding of pepper and you’re good to go. 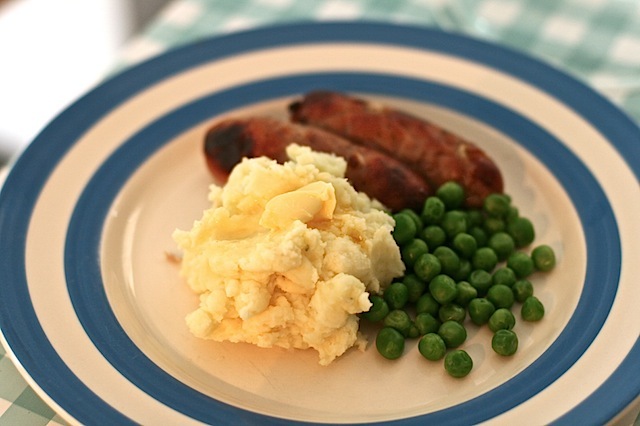 Are you ready to serve comfort food again? With thanks also to Candiasoil for samples of “Oi1 Peza” Cretian olive oil sold in these attractive tins which also protect the oil’s flavour being damaged by sunlight. Crete lays claim to having cultivated the first olives as far back as 3500BC. 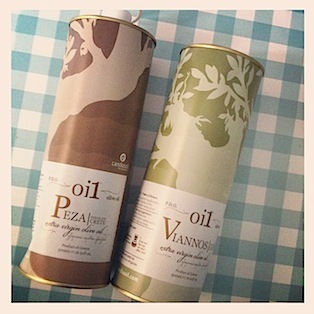 Oi1 Peza and Oi1 Viannos Cretian olive oils are due to be sold in Tesco this autumn, priced £6.35 for 500ml. Also ongoing thanks to Boursin for cream cheese. Bashing the hell out of a lump of meat is always a fun task. Ted came running downstairs to see what all the noise was about. 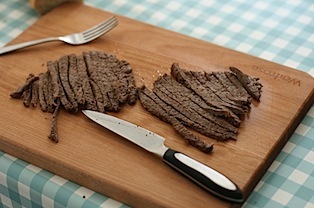 You can make a couple of flash fry steaks go a long way if you cut them into strips for sandwiches. I stretched two of these steaks into lunch for 3 adults and 1 Ted with two steaks left over for a future supper. That’s the child size portion above if you think I’ve short changed anyone – the grown ups ate twice this amount. 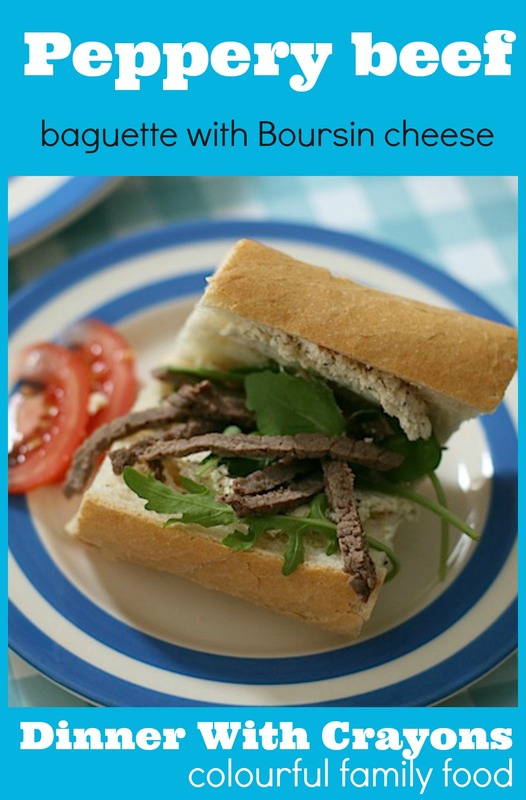 Simply spread chunks of fresh baguette with butter and cream cheese – today I’ve used Boursin with Black Pepper which goes beautifully with beef and fresh rocket. This is one of my favourite post-supermarket Saturday lunches because it only takes about 10 minutes to prepare but feels special enough to celebrate the weekend! Do you have a special favourite lunch after buying the groceries? 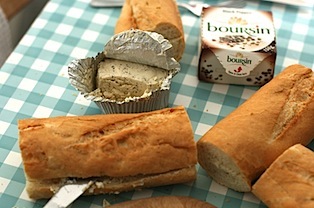 With thanks to Boursin for samples of cream cheese. 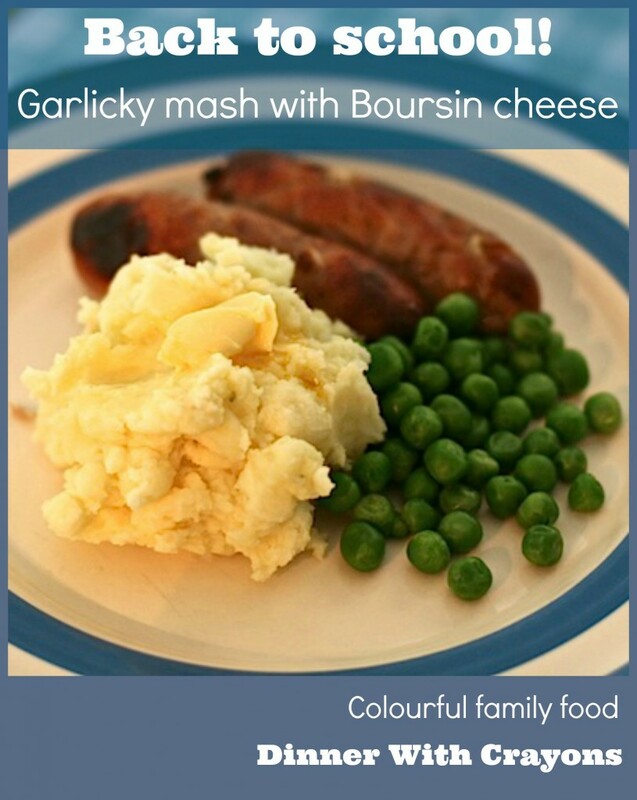 Say hi to them on Twitter @boursincheese. 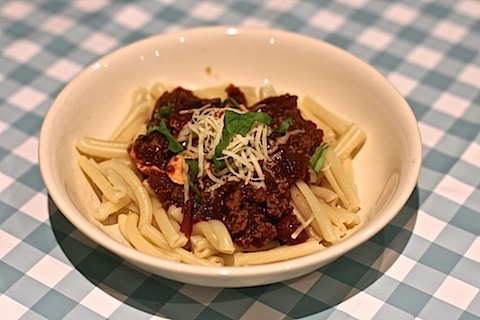 Using minced beef in pasta sauce is a staple dish for many of us – but there’s no need to limit yourself making minced beef dishes with packs of ready minced beef. I had two cooked flash fry steaks left over plus one cold lonely beef burger off the barbecue. Come supper time I chucked the lot into the Magimix and blitz blitz had cooked ground beef ready the throw into the dinner. 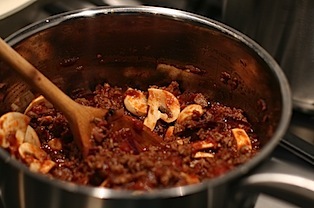 It’s fairly pointless blogging a bolognaise sauce – this post is really about using up cold cooked beef so I won’t go into huge detail. 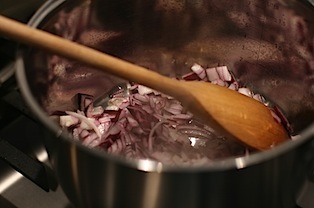 Just soften an onion in olive oil, add some tomatoes and garlic. If I’m making minced beef in a large enough quantity I tend to keep the first batch for pasta (or a cottage pie if using stock rather than tomato) then spice up the second half in a chilli. Since this was just using up left overs I was a little sad not to have enough to do this! With a sprinkle of cheese and few torn bits off the long suffering basil plant it was another speedy supper. 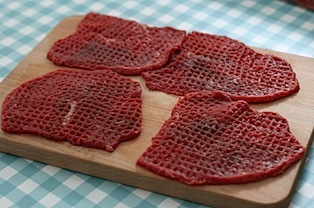 How do you use left over beef? 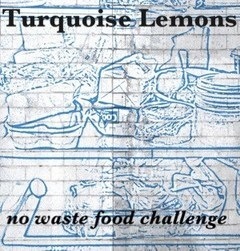 Dead easy, tenderest juiciest way to cook chicken in under 30 minutes. Did you ever bake a chicken breast in nothing more than curry paste and yogurt? The results out of the casserole dish aren’t visually pleasing but I promise you tender tender chicken guaranteed with very little effort indeed. So I wondered how it would go with a 50/50 mush mush of pesto and cream cheese. 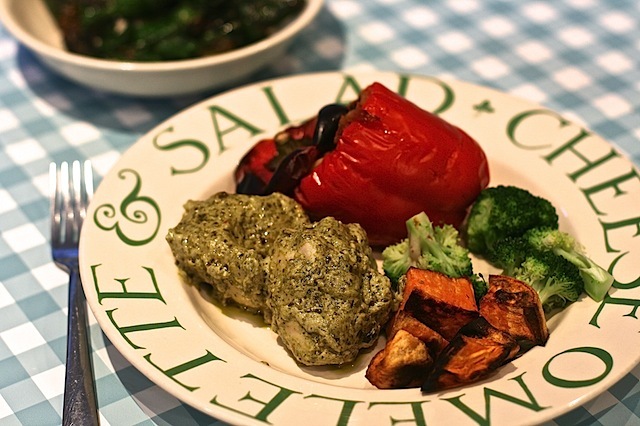 I am gradually working my way through various flavours of Sacla sauces and Boursin cream cheese and recently most evening meals seem to have featured either one or the other…. 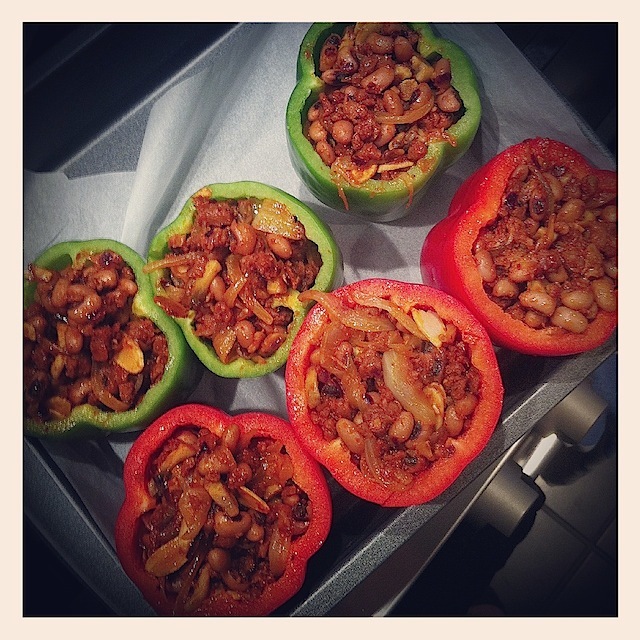 I’ve never stuffed a pepper in my life so I figure if I’m going to do it I ought to make six at once. I think I’m a convert. 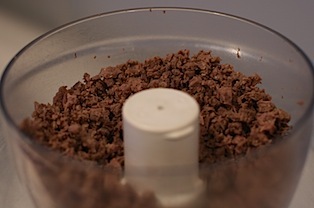 After all, it only takes a quick lop off of the tops and a scooping out of the seeds and you’ve an instant casing for a yummy filling. And that sure beats faffing around with pastry in my book. (Plus it’s healthier)…. I’ve categorised this post as “eating in” but arguably it should be “eating out”! 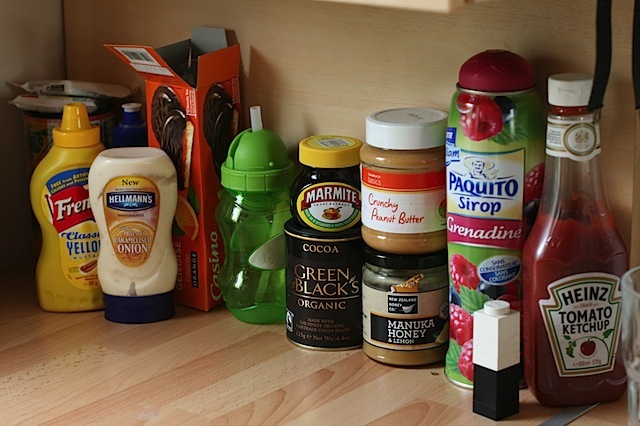 Take one box of store cupboard items that are versatile enough to be used a few ways each; mustard, mayonnaise, cocoa, peanut butter, honey, marmite, ketchup. Between all of these you have various choices what to put on bread or toast, the makings of salad dressings and pasta sauces. I tend to buy a small bottle each of olive oil and vinegar when I get there…. I paired these two ingredients last week in my cichette Venetian style appetisers. 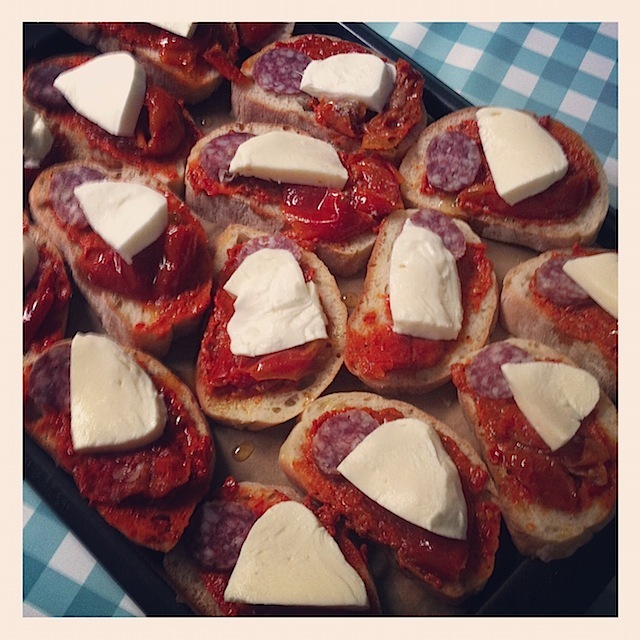 Since I had a fair bit of each ingredient left they resurfaced in last night’s supper, a speedy tray of ciabatta mini pizzas. Ciabatta keeps for a good week unopened in the fridge. I often buy a loaf if I’m anticipating guests who may or may not definitely be coming and not sure which day either. Everything else bar the cheese is store cupboard so it’s a very flexible appetiser or light meal that I first featured as sun blush tomato mini pizzas. 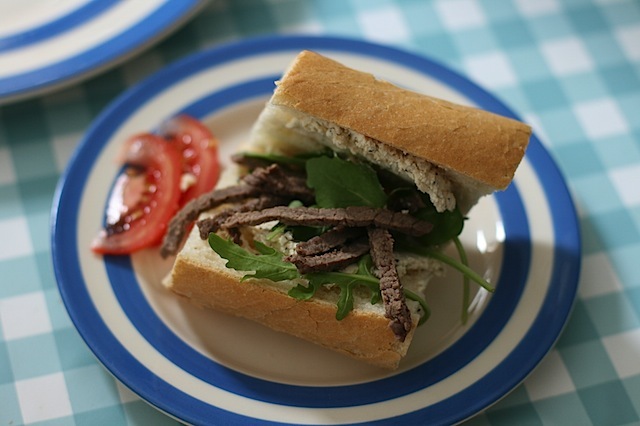 And if it turns out your guests are not coming after all, you can freeze the ciabatta until they do…. I foxed my husband on Saturday. 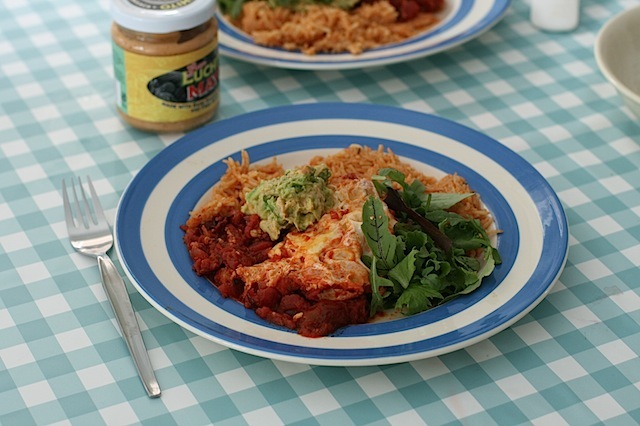 He said “what’s for lunch” and I replied in an enthusiastic faux Spanish accent, huevos rancheros. My husband doesn’t speak Spanish, nor for that matter do I…. Deepest darkest Shepherds Bush will always have a place in my heart: we lived there for eight happy years. Our returning there from Walthamstow is rare. So an invitation to review Bush Hall Dining Rooms was an ideal opportunity to check out our old neighbourhood. Opening a few weeks ago, this restaurant partners Uxbridge Road’s Bush Hall concert venue. A former 1920s dance hall, the Bush Hall building had been a scruffy snooker club since the 1980s but is now restored as an elegant music and events venue. Now you can book a pre-gig dinner in the adjacent restaurant…. 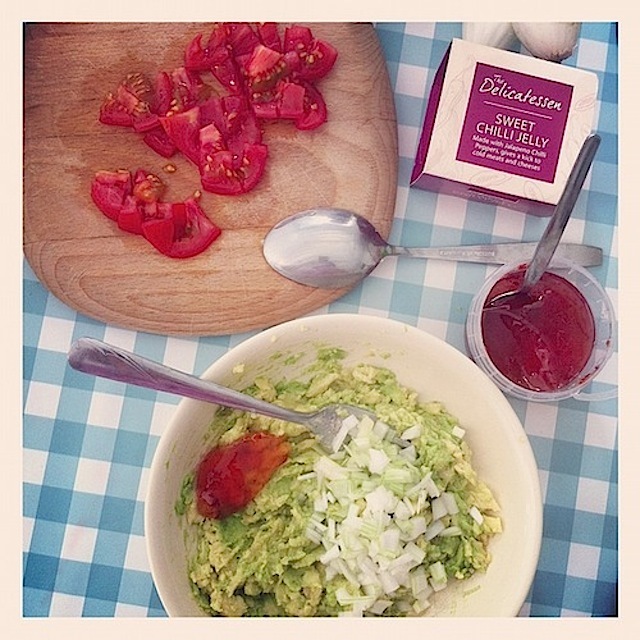 Cooling down with hot guacamole…. Bought guacamole can be a lacklustre experience, whereas I’ll accept shop bought hummus (my own is better if available) I really can’t stick shop bought guacamole. The slightest tinge of grey from the avocado really turns me off so only fresh will do. 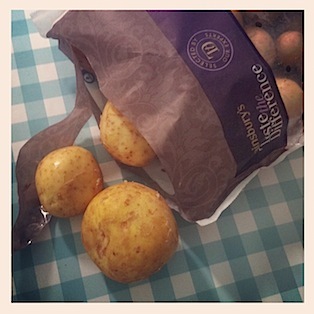 Finding avocados just how I like them is another minefield but makes eating them all the more satisfying when a perfect one opens up….